In less than seven days, DC's favorite speedster will be flashing in with a brand new adventure, replete with usual high-octane action and some unexpected family drama. For fans of CW's 'The Flash', it's not really news that the upcoming season 5 is taking on a different direction by introducing a guest from the future — Nora West-Allen (Jessica Parker Kennedy), the daughter of Barry aka Flash (Grant Gustin) and Iris (Candice Patton). Introduced at the end of the last season, she arrives in the current timeline to save her father from a certain catastrophe. The young speedster was an important part of the story arc that is going to play out further in the forthcoming season. There have already been hints: first in the form of the season 5 episode 2 synopsis, and most recently as a preview photo offering a glimpse of the West-Allen family. "Catch up with the West-Allen family before the season premiere Tuesday, October 9," read the caption alongside the latest season preview shared by the social media handle of 'The Flash'. With "6 days" flashing across the screen, the photo teaser, however, had an ominous feel about it as it showed Barry and Iris with worried looks, talking to someone who could very well be their daughter from the future, Nora. While the latest arrival certainly adds a new dimension into the plot, it also opens up a set of curious questions, especially relating to the timeline. If Nora has come from the future, it's obvious that there will be some repercussions (as we know from the Flash mythology) as well. 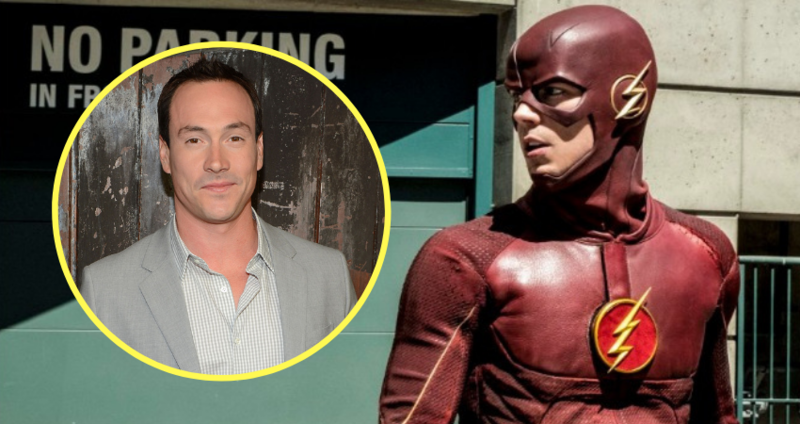 “We learn pretty early on, which shouldn’t come as a huge shock, that Nora being here actually has something to do with Cicada’s arrival,” Gustin had said earlier, teasing season 5 plot and the latest big, bad Cicada (Chris Klein) who is all set to pose a fresh threat to Team Flash. “He can dampen other metahuman powers, and we don’t know at first how he’s able to do that. He’s got an edge that no other big bad has ever had. We don’t know who he is. He’s mysterious. He’s just kind of an intimidating, big scary man that can render pretty much all of these metahuman superheroes useless, more or less, in battle," the Flash actor explained. Chris Klein's Cicada will arrive on the scene to make his presence know in the very second episode of the upcoming fifth season. The Flash premieres season 5 on October 9 at 8 pm on The CW.